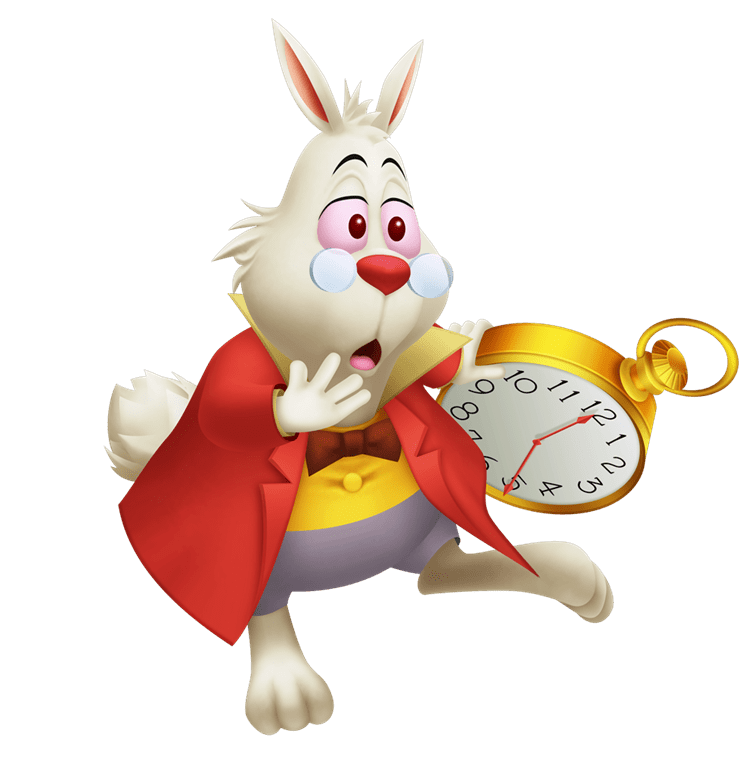 Have you ever entered an appointment into your calendar, then missed the appointment because you traveled into a different time zone than where you started? This is an issue with every calendar, but this article will deal specifically with Google Calendar. First we’ll explain the concept and why the times may change on your calendar, then we’ll give you specific tips on what to do so you never miss an appointment because of changing time zones. Why Doesn’t Google Calendar just display the time as you entered it? Think about someone who is constantly changing time zones. If you leave home in the morning, have lunch in another time zone, dinner in a third, and wake up the next morning in yet another time zone, you probably keep your watch set to home time and learn how many hours to add or subtract in order to know the local time where you are. That’s exactly what Google Calendar does. People all over the world use Google Calendar and it has to enter times in some standard way. It uses the ‘home’ time of Greenwich, England known as Greenwich Mean Time or GMT (or the more precise UTC), then it adds or subtracts the appropriate number of hours to know what time to display depending on the location of the device that is being viewed. For most laptop computers, you have to manually change the time zones, but more and more we are depending on our smartphones and tablets as we travel, and they can automatically change time zones based on information from the local Internet connections. For example, if you (and your tablet) are in New York that means you’re in Eastern Time Zone, or GMT-5. 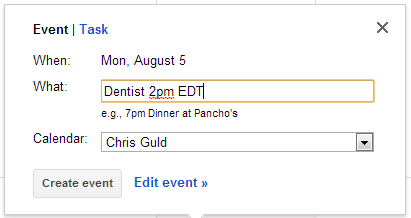 If you set an appointment for 2pm, Google Calendar is actually setting that time as 7pm GMT. Then, assuming your device is currently registering in Eastern US Time Zone, that means GMT-5, so your calendar will display the appointment correctly at 2pm – subtracting 5 from 7pm. IF you move into Central Time Zone (GMT-6), your calendar will display your appointment as 1pm – subtracting 6 from 7pm. Your dentist in Florida calls to schedule your annual appointment and you agree on Tuesday, October 15 at 2pm. You enter that appointment in your Google Calendar using your smartphone. But, you are on vacation in Montana– that’s Mountain Time Zone or GMT-7. You enter the appointment for 2pm but, behind the scenes, Google Calendar is actually setting this appointment for 9pm GMT. Your calendar will display 2pm while you’re in Montana because it calculates the time based on your location at GMT-7. It will display 2pm as long as you’re in Montana, but when you travel east thru Iowa you will see 3pm in Central Time Zone or GMT-6. Then, in Florida your smartphone or tablet will display 4pm because the appointment was set for 9pm GMT and Florida is Eastern Time Zone or GMT-5. You show up for the 2 o’clock appointment at 4. You missed it! The key is to set your appointment for the local time where the appointment is happening. In Google Calendar, many people have never noticed that there is a Time Zone link to the right of the time setting for any appointment. In our example above, don’t just set the appointment to start at 2pm, but set it to start at 2pm Eastern Time. Behind the scenes, this will be 7pm GMT. Think about an airline ticket, it always lists the departure times in the time zone where the departure takes place. For more information, see Google’s help page on Scheduling across time zones. When you’re in Mountain Time Zone, this appointment will show on your calendar as 12noon. If you’re in Pacific time zone, this appointment will show as 11am. But when you’re in Florida, ready for your appointment, it will display the correct 2pm time. You’ve Set the Time Zone Perfectly, and you Still Miss your Meeting! You may now understand the concepts and how it’s supposed to work, but just when you think you’ve got it – you look at your iPad while you’re in Florida, and it shows the appointment at 9am! That means that a time zone setting is different on that device. 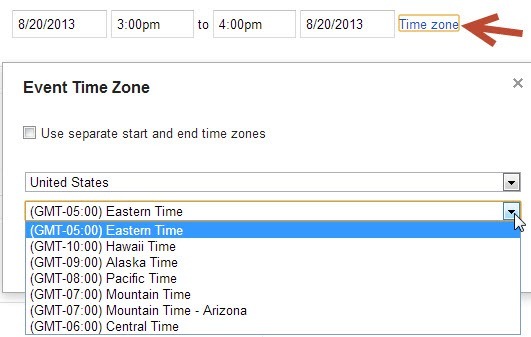 Instead of automatically detecting what time zone you’re in, a manual time zone setting has been set for Hawaii time zone – GMT-10. Maybe you last used your iPad in Hawaii and set the time zone accordingly (Settings->General->Date and Time.) Same thing with the web-based version of Google Calendar. If you click on the gear and then settings, and choose ‘Your current time zone:’ you can set that to any zone you want and it will stick. See Google’s instructions for setting Time Zones. You need a backup plan! I recommend adding the time and time zone in a written note, maybe right in the title of the appointment. So, instead of just ‘Dentist’ you might write “Dentist 2pm Eastern Time.” That way you can read the title and know that, if you’re in Florida, and it’s 2pm, you’d better be at the Dentist! Even if it’s displaying an appointment time of 4pm, you’ll know to trust that written note instead. If the title of the appointment is too long, write the time and time zone note in the description of the appointment. Setting Time Zone with Quick Add: In Google Calendar you have the option of creating an appointment without going into the appointment editing screen. You can simply click on the day in the calendar and up pops the Quick Add box where you can enter the title for your appointment. If you include the time and 3 character time zone in your description, it will set the GMT time accordingly. So, if you are currently in Pacific Time Zone and you set an appointment for 2pm EDT, you will see the appointment show up as 11am, and it will correctly display as 2pm when you are in the Eastern Daylight Time zone. However, the 2pm EDT will disappear from the title after it is set, so this doesn’t give the backup note mentioned above. Google Calendar World Clock: Google Calendar has some experimental features that can be turned on via the Google Labs. One of those is World Clock. To turn it on, click on the Gear button and then choose Labs. The last one on the list is World Clock. Click the Enable button, then click Save. When you return to your calendar and click on any appointment now, you will see a box in the upper right of your screen that shows the appointment time in a variety of time zones. You can specify what time zones you want displayed by clicking on the settings link. Wouldn’t it be nice if, next to the time on any given appointment, it included the time zone that was being used? I don’t understand why that is so difficult, but it must be since I see no way to specify that. On my Droid Razr smartphone, Google calendar sometimes displays the time zone but not always, and I can’t quite discern the criteria. There is a setting called ‘Use home time zone” it displays calendars and event times in your home time zone when traveling. And, you can change your home time zone at any time. Published by MrsGeek, in Blog. Tagged with missing appointments in different time zones. If you’re on the road you may find http://OnTimeZone.com useful too. It’s a free, anonymous and non-commercial site. If you use mapping or routing software to aid in your travel plans you may find the Files/Downloads section to be especially useful. You also have to be aware of time zone changes when parked on a zone border. Specifically, I am thinking about our times in Lake Havasu City, AZ, which sits along the Colorado River. The river is the border between California’s Pacific time zone and Arizona’s unique time zone (they don’t do daylight standard time). Depending on what part of the area you are in, your cell phone (and digital clock) may be bouncing off a California cell tower. LHC is NOT a Verizon-friendly town (that’s a different story) and I have my phone set to notifiy me when I change to “roaming”. It talks to me constantly with notifications.